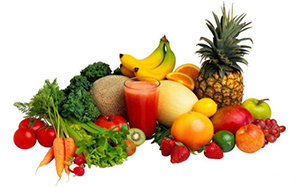 Antioxidants are substances found in foods that help protect cells in our body from damage caused by ‘free radicals’. Free radicals are around us all the time - formed during normal metabolism as well as from exposure to the environment. These free radicals are responsible for a large part of the ageing process. The main antioxidants are vitamins A, C and E, selenium and beta-carotene as well as a range of phytonutrients in plants. Antioxidants are found in a range of foods - particularly in brightly-coloured fruit and vegetables such as citrus fruits, berries, red capsicum, carrots and beetroot. People who eat their 5+ a day have lower rates of heart disease and cancer due to these antioxidants! Did you know that avocados are a fruit? They contain around 25% fat BUT it’s the type of fat in avocados that is key – they have a high ratio of unsaturated to saturated fats (i.e. 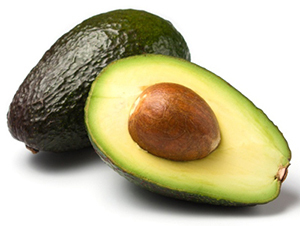 more ‘good’ fats) which makes avocados good for heart health. Avocados are also rich in vitamin E - a fat soluble vitamin which acts as a powerful antioxidant. So if you are watching your waistline, avocado is a great alternative to butter as a spread with around 1/3 the calories of butter and much healthier fats. But you still want to be mindful of how much avocado you eat – an average avocado provides around 400 calories! Bananas are a high energy fruit (1 medium banana = 100 calories) but loaded with nutritional goodness. Creamy and sweet, bananas are a favourite food for everyone from infants to elders to athletes. 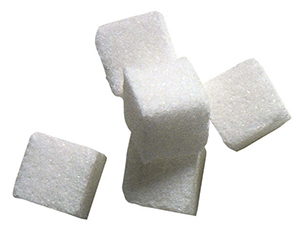 They are convenient to enjoy, are easily digested and provide a good source of slowly released energy (low GI). Bananas are rich in potassium – an essential mineral for maintaining blood pressure and heart function. 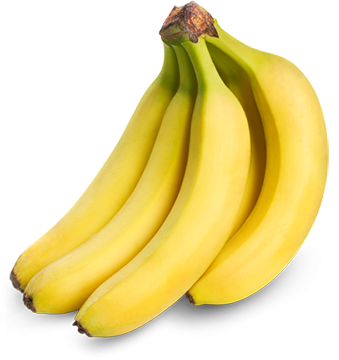 Bananas are also a good source of fibre and vitamin C. Never throw away over-ripe bananas – chop them up and keep in the freezer for use in smoothies or baking. Blueberries are a great ready-to-go low-calorie snack. Fresh or frozen, blueberries are also boosting with good nutrition – mainly due to their antioxidant properties which they get from their blue colour (a phytonutrient called anthocyanins). The antioxidants in blueberries are believed to help counteract the age-related decline in brain function, as well as protect against cancer and help lower cholesterol. Blueberries are also a good source of fibre, manganese and vitamin C. So there are plenty of reasons to include these power berries in your diet! 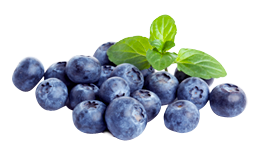 Add blueberries to your breakfast cereal, to smoothies or use in baking. 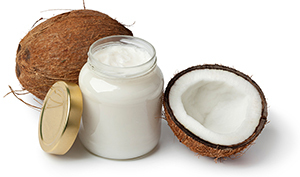 Coconut oil has recently gained popularity for its health benefits as being a ‘superfood’. Coconut oil is composed of 92% saturated fat which is why it is solid at room temperature (just like butter). Adding coconut oil to each and every meal is not going to solve any health issues; but it may add extra calories and promote weight gain. The current recommendation from the Heart Foundation is to still use poly and monounsaturated plant oils (e.g. olive oil, canola oil) as your main oils. If using coconut oil, use it as you would with butter – in small amounts. So the best option is to go for less energy dense foods with lower fat and alcohol contents and a higher water content – fruit and veges are full of water! Gluten is a protein found in grains (e.g. wheat, rye) which gives bread its structure. Gluten may be a problem for those who have coeliac disease or those who are gluten intolerant. Gluten-free foods are trendy at the moment, and there are many gluten-free foods on the market including breads, muesli bars and cookies. But beware – these foods are not necessarily any healthier! 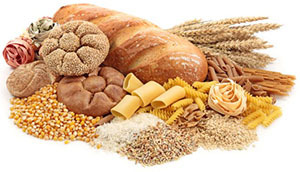 Gluten-free foods often have undergone extra processing, can be high GI (glycaemic index) and are much more expensive. So if you think gluten is an issue for you, see your GP for a test before changing your diet! Honey is often thought of as a healthier alternative to sugar, but unfortunately the nutritional benefits from honey over sugar are minimal. 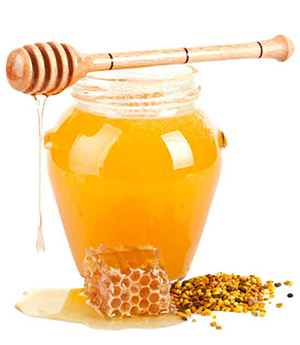 Calorie-wise or for people with diabetes, honey should be counted as sugar. Teaspoon for teaspoon, honey has more calories than sugar because it is denser, so using 1 tsp of honey instead of sugar actually means you are consuming more calories, not less. Honey does have B-vitamins and minerals but the amounts are tiny. So just remember, honey is still a form of sugar – but if honey is your preferred sweetener, use it as you would use sugar – sparingly! If using salt at home – make sure it’s iodised! 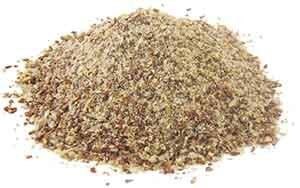 LSA is a ground mixture of Linseeds, Sunflower seeds and Almonds. 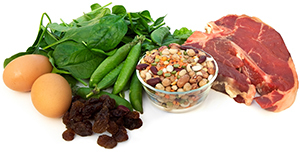 LSA is full of good nutrients: B-vitamins and fibre as well as those essential fats that the body can’t make on its own (omega-3 and omega-6). Two tablespoons of LSA provide around 3g of fibre which is similar to the amount of fibre in two slices of Vogel bread, and counting towards your recommended daily fibre intake for good health. It’s a tasty mixture great for adding a nutrition boost to your cereal, as a porridge topping, to smoothies, or in baking. Oats are a ‘must have’ pantry food. They are cheap, versatile and full of goodness. 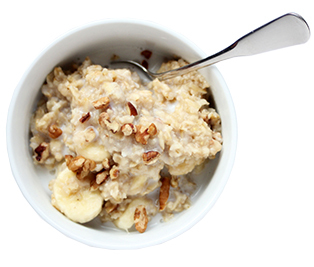 Oats have a low-medium GI which provides a slow release of energy. One ½ cup serve of rolled oats contains 5g of fibre – which helps with digestion and keeps you fuller for longer. Oats also contain a special type of soluble fibre, beta-glucans, which have been shown to help lower total blood cholesterol when eaten as part of an overall healthy diet. 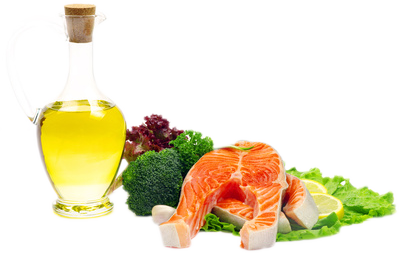 Omega-3 is an essential type of fat which our bodies can’t make, so it needs to come from our diet. There are two types of omega-3: short-chain ALA found in plant sources such as canola oil, flaxseeds and walnuts; and long-chain EPA and DHA found in fish (especially oily) and seafood. Long-chain omega-3 is beneficial for lowering blood pressure and cholesterol, as well as being important for brain and vision throughout life. The best way of getting enough long-chain omega-3 is to eat (oily) fish at least twice per week. For vegetarians, increasing your intake of plant sources of omega-3 is beneficial; if taking a fish oil supplement, make sure it provides at least 250mg EPA+DHA per day. Quinoa is one of those new and often talked about foods on the supermarket shelf. It’s a wholegrain and being both gluten-free and a ‘complete protein’ (i.e. provides all essential amino acids) makes it a good alternative to people with gluten intolerance/coeliac disease as well as vegetarians. It’s very versatile in the kitchen – great in both cold and warm salads, as a replacement for rice or couscous, and added to casseroles to add extra bulk. 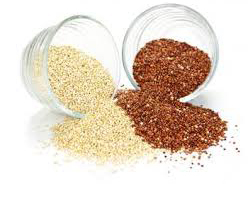 Compared to other grains, quinoa has higher levels of protein, iron, calcium, magnesium, potassium and phytonutrients. So be sure to try out this exciting nutritious grain! Vitamin D is often referred to as the ‘sunshine vitamin’ which is because we get the majority of our vitamin D from exposing our skin to sunlight (UVB rays). 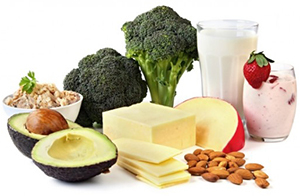 Vitamin D is important for healthy bones along with calcium. 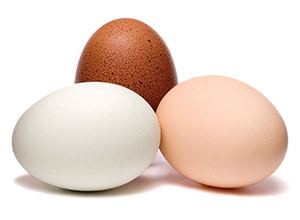 Vitamin D is found in small amounts in few foods (such as oily fish, eggs, and fortified foods such as Yellow Top milk). But as the vitamin D we get from these foods is limited it’s important to get outside and enjoy the sun – in a sensible way without getting sun burnt. 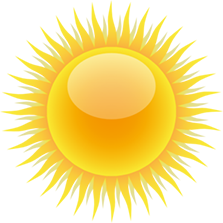 The sun as a source of vitamin D is important for people of all skin colours. The human body can only last a few days without water. 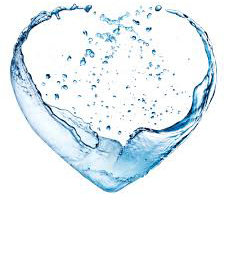 Water is essential to most bodily functions including regulating body temperature and transporting oxygen and nutrients. Dehydration can lead to kidney failure, and ultimately death! An average adult loses 2.5-3 litres of water daily – these losses must be replaced. Water requirements depend on age, body size, health status, metabolism, weather and physical activity. The body gets around 20% of its water requirements from foods we eat. 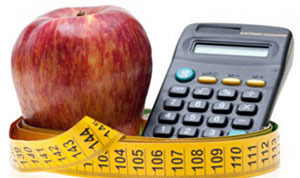 The rest it needs from fluid intake such as water, milk, tea and coffee. Make water your household drink – 0 calories!